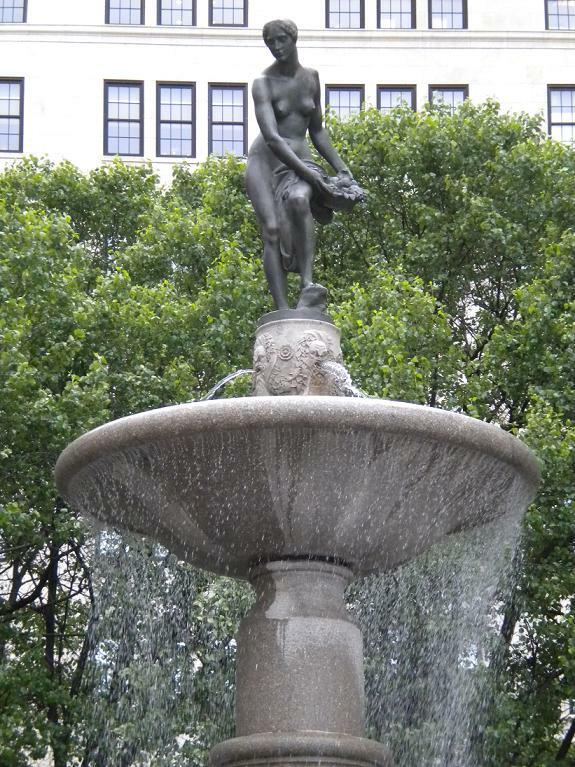 While in New York City, I made a point of tracking down the fountain depicting the Goddess Pomona. 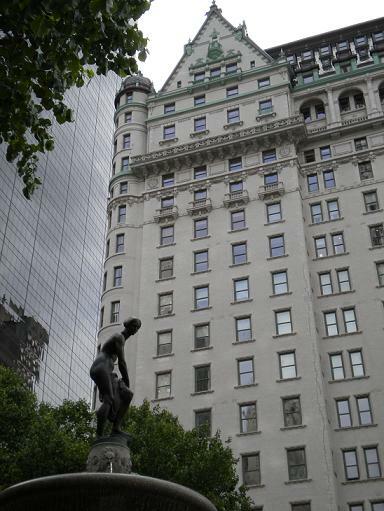 It’s just below Central Park in the Grand Army Plaza outside the Plaza Hotel. Ooo-la-la! It’s a grand location for a grand figure. Tony Fifth Avenue is a few steps to the east. Horse-drawn carriages clip-clop past. In the other half of the plaza across Central Park South, facing the Goddess, is, of all people, General Sherman astride a horse. The Goddess of Pomona blog had a nice writeup on the Pulitzer Fountain a couple of years back. You can read that here. Wikipedia offers a decent history here. More views of the fountain can be seen here. Property values are on a positive slope in NY, the schools there are not laying off teachers, maybe the prosperity there will rub off on the California city. Great picture. Oh I am so jealous you got to see her in person. I was in NYC in the past, but did not know to look for her. That one photo of her in the snow still gets me.